So, it never fails. When we want to go summit a mountain (like say Mt Whitney), the weather fails us. It either snows before we get there (meaning that the trail is impassable) or it snows while we're there (meaning that the trail is impassable). Either way, we end up hiking to the base camp of the mountain and then turning around and head back down. Likewise, when we want some weather (aka, some drama) for a sunrise, it's crystal clear. Such is our lot in life these days. Oh, well I suppose. Better luck next year. 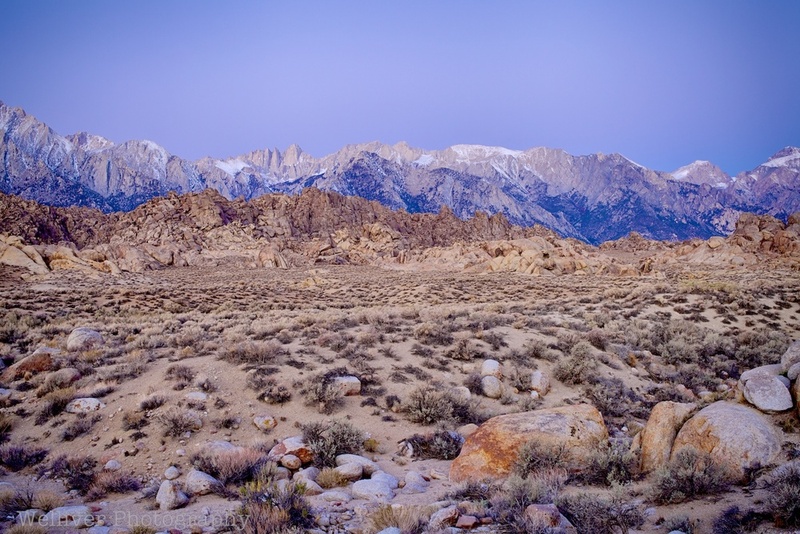 Here's a few of those crystal clear mornings from the Alabama Hills near Lone Pine, CA. You need a really big screen for this one!